A video series profiling policies and practices of education systems that demonstrate high or improving performance in the PISA tests. Improving the education of its citizens is vital for Brazil's future economic development. With children under 15 years of age accounting for one-fourth of its population of 200 million, the challenges are enormous. But progress is being made. In the 1950s, 64% of Brazil's population lived in rural areas and over 50% were illiterate. Over the next half-century, the population soared and large numbers of people moved from rural to urban areas. In 1972, Brazil expanded mandatory education to include children from 7-14 years of age. But in 1980, the illiteracy rate was still around 25%. In 1988, a new Constitution provided for mandatory free elementary education and required a minimum 25% of state and municipal revenues and 18% of federal revenues to be spent on education. But setting targets was one thing: reaching them proved more difficult. In 1995, 90% of all children were enrolled in primary school at age seven, but only half completed eighth grade. In 2000, 13.6% of adults were still totally illiterate and Brazil was the lowest performing country in the PISA tests of 15-year-old school students. More than half of students tested ranked at Level One or below – 32.5% in Level One and 23.3% even lower. Fewer than 1% scored at the top level, Level Five. Brazil's 200,000 schools have bigger average class sizes than schools in most OECD countries: 27.1 children per class in primary schools and 30.5 at lower secondary level in 2008, against an OECD average of 21.6 and 23.7 respectively. The ratio of students to teaching staff is also higher, at 24.5 to one in primary school and 21.2 to one in lower secondary school in 2008, against OECD averages of 16.4 to one and 13.7 to one respectively. Over the past decade, the federal government has launched a major effort to improve education, increasing spending in classrooms and on teacher salaries and providing extra help for poorer families in order to get children into classrooms. By setting quality targets and leaving schools free to choose how best to achieve them, its National Education Plan has transformed the country into a laboratory of best education practices. From 4.0% in 2000, investment in education rose to the equivalent of 5.2% of Brazil's gross domestic product in 2009. Though still well below the OECD average, Brazil's PISA scores have improved. In reading, they advanced from 396 in 2000 to 412 in 2009; in mathematics from 356 in 2003 to 386 in 2009; and in science from 390 in 2006 to 405 in 2009. 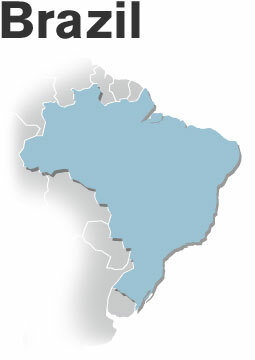 Average performance in primary schools (grades 1-4), as tracked by Brazil's Basic Education Development Index (IDEB), rose from 3.8 on a scale of zero to 10 in 2005 to 4.6 in 2009. In intermediate schools (grades 5-8), the average rose from 3.5 to 4.0 and in high school (grades 9-11) from 3.4 to 3.6. The government has set an IDEB target of 6.0 for 2021, the year before Brazil celebrates its 200th anniversary, against a 2005 average of 3.8. Brazil, like many developing countries, faces wide-ranging economic and social inequities and major challenges in education. Its constitution provides for mandatory free elementary education and sets a minimum to be spent on education of 25% of state and municipal revenues and 18% at the federal level. But high rates of grade repetition and dropout mean that many children make only limited progress. In PISA 2000, Brazil was the lowest performing country. More than half of its students ranked at Level One or below. Fewer than 1% scored at the top level. Since then, thanks to wide-ranging educational reform, Brazil's performance has begun to improve. Its students still perform at well below the OECD average, but its experience shows how a country facing major challenges in teacher quality, infrastructure and student commitment, and with a highly decentralized education system, can use national and international benchmarking to identify problems and drive reform. Under Brazil's decentralized education system, its 27 federal states have primary responsibility for schooling, in association with the municipal authorities of Brazil's 5,561 municipalities. In 2001, a National Education Plan set out guidelines, goals and priorities for the three levels of government at federal, state and municipal level. In 2007, a federal Education Development Plan combined increased spending in classrooms with performance monitoring to drive improvements. One of the main objectives was to raise the quality of Brazil's 1.5 million teachers, many of whom had only high school education. Low pay and poor working conditions, including teaching two shifts a day (often in two different schools) discouraged potential candidates. Teacher absenteeism was high, partly because of the difficulty of getting from one school to the other in city traffic or along rural roads. A base salary was introduced for teachers and minimum entry qualifications were raised. At the same time, the government introduced a new indicator of education quality called the Basic Education Development Index (IDEB), in order to track schools' performance. IDEB draws on student test results and graduation rates to provide a nation-wide performance map through which the federal government can identify weaknesses and provide technical and cash assistance. For states, the combination of monitoring and support provides a real incentive to use effective strategies and improve student achievement. States have to diagnose the problems in low-performing schools and develop an improvement plan to send to the federal education ministry. The ministry tracks progress in order to identify best practices that can be shared with other states. By setting individual quality goals and then leaving schools free to choose how best to achieve them, the Education Development Plan has effectively transformed Brazil into a giant laboratory of best education practices.